This picture, taken at Scottish Fest USA, is an event that draws around 19,000 – 20,000 visitors. They just recently celebrated their 83rd year. It is the second largest assemblage of clans (62) in southern California, and also has 10 related Scottish organizations. The Games routinely include championship competitions in piping and drumming, Highland dancing, and Scottish heavy athletics. 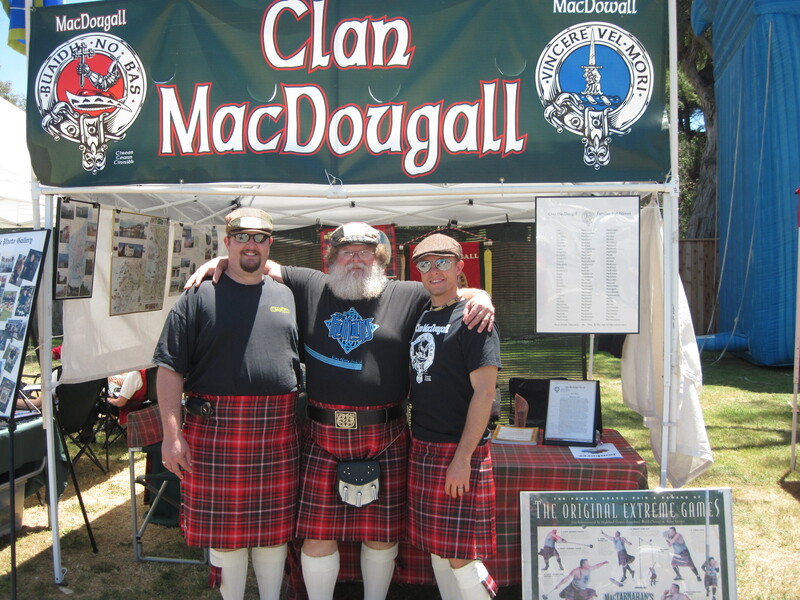 Clan MacDougall attends 4 Games/year in southern California and they are all fairly large, drawing 10,000 – 20,000 visitors. Our other 3 Games are: Scots Festival on the Queen Mary in February, San Diego Highland Games and Gathering in June, and the Seaside Games in Ventura in October.